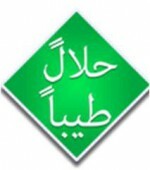 Short Business Description: Halaalan Tayyibah Meats has been expressly initiated to ensure that Muslims in South Africa have access to 100% halaal and tayyib (wholesome, untainted with doubt) meat and processed products. Our meat is slaughtered in a wholly Muslim-owned abattoir, by Muslims, to ensure proper slaughter procedures as dictated by the Shariah. The meat is handled and transported by Muslims from the point of slaughter until sale. The animals are treated humanely and not stunned. Our processed meats contain pure meat and spices. ALL the meats used in our products are only from the animals we slaughter. No imported meats, affal and waste products are used in our manufacture. Our Mutton products contain ONLY mutton and no other mixture of meats. The edible casings used in the sausages and wors are obtained from the animals we slaughter. The chicken products that we sell are also sourced from a wholly Muslim-owned chicken abattoir that does not employ un-Islamic methods of stunning, boiling and cruelty to the chickens. The chickens are humanely treated, grain fed and FREE from growth hormones and antibiotics. The chicken products are also pure and contain no fillers. The above ensures that you, the concerned Muslim consumer, receive 100% halaal meat. Our commitment in ensuring that we supply ONLY 100% halaal meats, free from doubt, is firstly to Allah Rabbul Izzat and then to you, our valued Muslim consumers. We do NOT store or sell meats from ANY other source other than what is slaughtered in our Muslim-owned abattoirs. The reason for this is obvious. We strive to supply meat that is not only 100% halaal, but also uncontaminated by any doubt. We do not sell what we would not consume ourselves. In these times where the word “halaal” is used very loosely, we wish to ensure that our brand guarantees 100% halaal. The importance of consuming halaal and wholesome foods cannot be overemphasised. Islam is a complete way of life and in following its dictates, we not only secure a blissful Aakhirah (hereafter), but also a healthy and happy life on earth. Presently we are based in Lenasia, Gauteng. We deliver to Johannesburg areas and have agents in certain areas: Azaadville, Pretoria, Benoni, Ermelo and Roshnee. Kwazulu Natal: Dundee and Ladysmith. We do intend initiating a delivery service to surrounding areas in Gauteng, Insha Allah. If you require further information regarding sourcing our products, do contact us via the ‘Contact Us’ tab above. Do keep in mind that our products are labelled with the “halaalan tayyibah” logo. If in doubt, please do enquire.